It is going to be pretty quiet on here the next couple weeks because I will be busy watching the Olympics. I admit it. I am addicted to the summer games. I have been getting excited since the Trials a month ago and my day yesterday was mostly spent watching the various sports. AS a former swimmer, it is pretty obvious what my favorite sport is. I watch the prelim. heats. And the semi finals. Then I join the rest of the world to watch the finals and i get really into it! A couple things on swimming: No Phelps isn’t done because of one event. He is still fantastic and watching him will be fun. Also, watch out for Missy Franklin. She is a fantastic swimmer and person. It is just great watching her! I also love watching soccer (football to the rest of the world), gymnastics, diving, and…well everything where people are fighting each other or picking things up. So that is what i am doing the next two weeks! This is all making me want to go to London even more! Do you watch the olympics? What ar your favorite events? 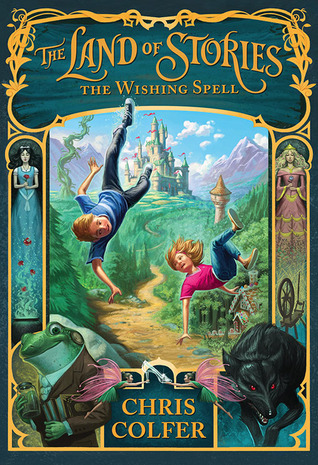 If you are looking for an excellent middle grade book for boys AND girls, look no further than the amazing and adorable Chris Colfer’s debut novel! I got so excited about this book when I saw Chris speak at the BEA Children’s Author Breakfast (more about that here) and I was so happy that the book did not disappoint! Colfer is a really good writer and knows how to write for his audience. Yes, there are a lot of similes and metaphors when describing things, but I think that helps kids see a new world more easily. The actual story is fantastic! I am a huge fairy tale fan and tend to enjoy twists or retellings, especially when they are about what happened after as this book is. I loved that there was a mix of happily ever after and some…not so much. I especially enjoyed the relationship between the outlaw Goldilocks and Red Riding Hood, it was just as drama filled as you would expect! The main characters of this story are not the characters that we already know and love, Alex and Conner are the main characters. They are really amazing middle grade characters. They are both complex and intelligent. They have a tragedy in their lives that affects everything they do and it is very easy to feel empathy for both of them. They are also not perfect, which made them easy to connect with. Middle grade readers will be able to connect with the personalities of at least one of the twins and it makes the lessons and excitement even greater! I think this would be a really fun book for adults and readers to read together. There are the lessons that come with the classic fairy tales, but there is a lot of fun and excitement thrown in there too. while there was one major plot point I figured out early on, there were still twists and turns I did not see coming! This is what middle grade books should be and I am so excited that I got to read it! I highly recommend it to all middle grade readers and the adult in their lives! I am really disappointed I don’t know any 9-14 year olds I can share this book with! I guess I will just have to share it with other adults that will enjoy this book just as much! If you enjoy a scary ghost story, you will wnat to pick up this book right away! I have always thought ghost stories were a lot of fun as long as I didn’t read them right before bed. Lately, I haven’t found much that has a good story, enjoyable characters, and not a ton of gore or things just added to shock you. There always seems to be something lacking and I can’t get through them. This book did not have that problem! What makes this so great is that it isn’t just the story of the ghost, which is heart breaking and sad, but it is also the story of veterans of war and the story of a young woman finding her strengths and herself. 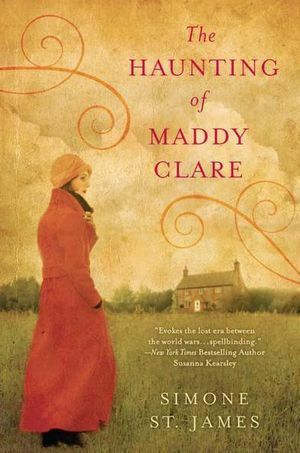 The reader sees the story through Sarah’s perspective, a young woman living in London after the first world war who is working for an agency. She has no experience with ghost hunting and doesn’t even believe in them at first, which made it a better story. She was intelligent, so they didn’t have to explain things to her like was five, but the basics of types of ghosts and haunting was still explained. The ghost hunter and his regular assistant are also such great characters too. Since they were both in the war, they have their own different reasons for being interested in ghosts and learning those was very eye opening and insightful. I found myself nodding and stopping to think about what they were saying, since it was so expertly written! The ghost is scary. She wants to hurt people and finds many ways to do it in terrifying ways, but it is easy to see why she does it as you learn her story and find out where the true evil lies. My only problem with this book is that it was too short! The story didn’t feel short or that it fell together too quickly or perfectly, I just wish there had been more, especially in the middle of the book when they were trying to figure everything out. It was jsut so fascinating that I wanted to see more of what the ghost could do! What are some of your favorite scary stories? I am writing this review in February, right after I finished reading it for work (note, I do not work for the publisher that put this book out. I work for another company that just got the chance to read this early) . I didn’t want to forget about this wonderful book, so I made sure I wrote it right away. I am not surprised that i thought it was a masterpiece. If you don’t know, the imprint Twelve only publishes twelve books a year, which is way less than any imprint at a major publisher. The thing is that those twelve books tend to be phenomenal. This was no different. I really should read every book they publish. The premise of Albert sounds strange. 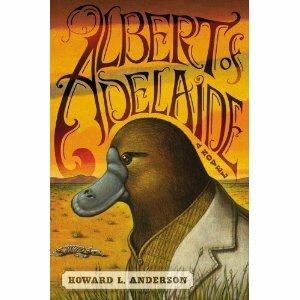 It is about an Australian platypus trying to find a special place in the world where animals live in peace. But what results is a funny, exciting, and heart-warming adventure that you will not soon forget. The writing is especially beautiful. I can get annoyed and distracted by too much imagery and scenery, but I felt like I could actually see the Australian Outback and all of the animal characters. I really felt like I was not sitting at my desk and was inside the story instead (so glad I got this on a slow day, I usually don’t get to read at work!). And while this book was about animals, it also wasn’t. There was racial tension, dictatorship allegory, among other ideas and situations that paralleled our past and present. It could have easily been humans in the story, but I just think it would have been less effective, creative, and beautiful if it was a more “normal” novel. More than all of that is that it was just a fun book to read. I was completely engaged and hated putting it down. It made me laugh, smile, and think, just like all the best books I have read. I immediately wanted to give it to friends and family, but had to live with just passing it around at work. It is a book that we are all buzzing about and I am excited to see the public’s opinion. This was one of the best books I have read all year. I enjoyed every moment and hope you will pick it up and join Albert on his journey for self and utopia. And you have to love that cover!